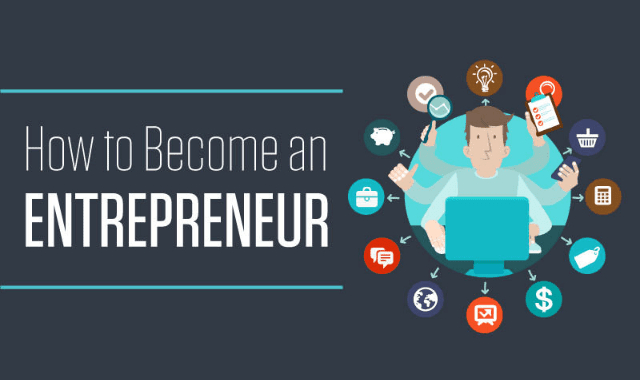 How To Become An Entrepreneur #Infographic ~ Visualistan '+g+"
What do Google, Coca Cola, Amazon, Walt Disney, Apple, Nike and Starbucks all have in common? These companies, among the most successful in the world, were all founded in the United States. Entrepreneurs — people who start their own businesses — are a vital part of the economy in the U.S., a country long celebrated as a hotbed of innovation with a healthy creative pulse. Some argue that this ethos stems from a long tradition of individualism and self-reliance, and others praise the relatively free markets and business-friendly policies of the government. In any case, many of the world's most successful companies get their start on American soil. Becoming an entrepreneur is not for the faint of heart. It requires long hours, hard work, adaptability and a thick skin. What are some of the most common traits of people who start businesses?